Furthering its commitment to undertake over 3 million sq ft of speculative development in 2018, Panattoni has broken ground on its latest development, Crewe 240. The 240,000 sq ft logistics warehouse is being speculatively built and is the only development of its size and scale along the M6 corridor. 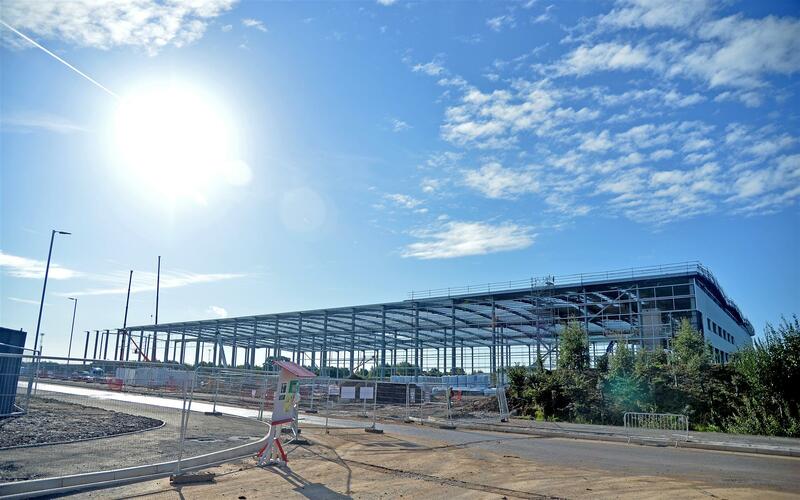 The building, which is due for completion at the end of the year, is being built to BREEAM “Very Good” and EPC “A” standards, and is ideally situated close to Junction 16 of the M6 motorway and the Bentley Motors manufacturing plant on Pyms Lane in the town. The location is also set to benefit from the recently announced upgrade of the A500, which is due to be widened in preparation for Crewe’s proposed HS2 hub station. The commencement of work on site follows the launch last month of the company’s Northern office, as the industrial developer drives forward plans to develop up to 1,000,000 sq ft of speculative logistics warehousing across the Northern markets and along the M6, M62 and M1 corridors. Dan Burn, Development Director at Panattoni, said: “Crewe is our first development in the North West market since the merger with First Industrial. It’s the only building of its size available along the vital M6 motorway network and confirms our commitment to speculatively develop major logistics warehousing across the North West and Yorkshire. Established in 1986 and headquartered in California, Panattoni is the largest privately-owned industrial developer in the world, having delivered buildings for over 2,500 customers. In the last two years, the European platform alone has completed over 40 million sq ft of warehousing facilities and, only earlier this month, was re-confirmed by PropertyEU as the largest new-build industrial developer across Europe for the second year running. The retained agents for Crewe 240 are CBRE, Legat Owen and Burbage Realty.